I was going to give you a sneak peak at some of the fun Christmas projects we have been working on, but I thought we could take just a second to celebrate Halloween. 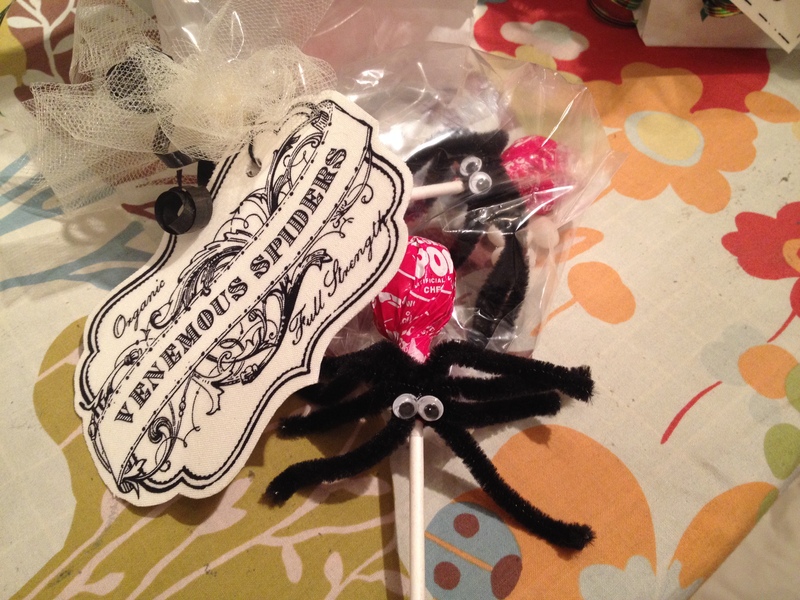 We just finished some of our “treats” for Saturday and they are crazy cute!I I mean… scary!! 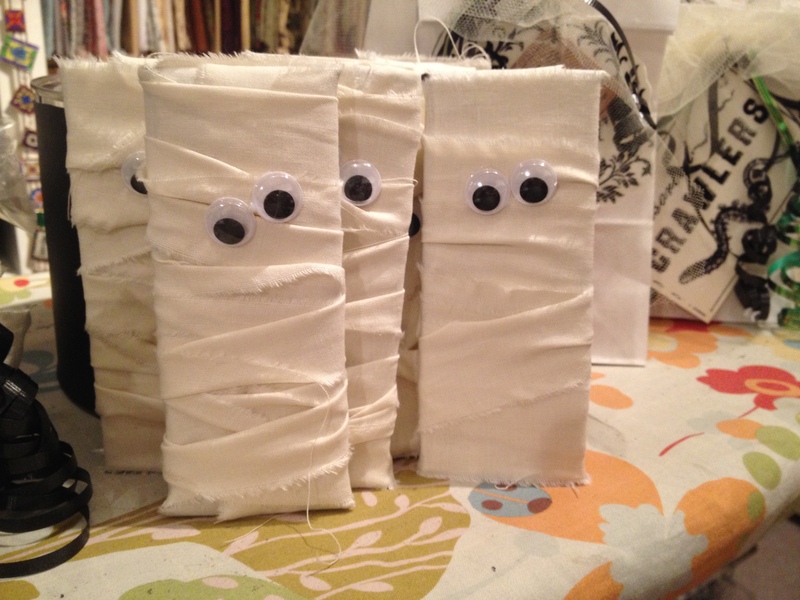 We wrapped Hershey bars in muslin and glued on eyes. 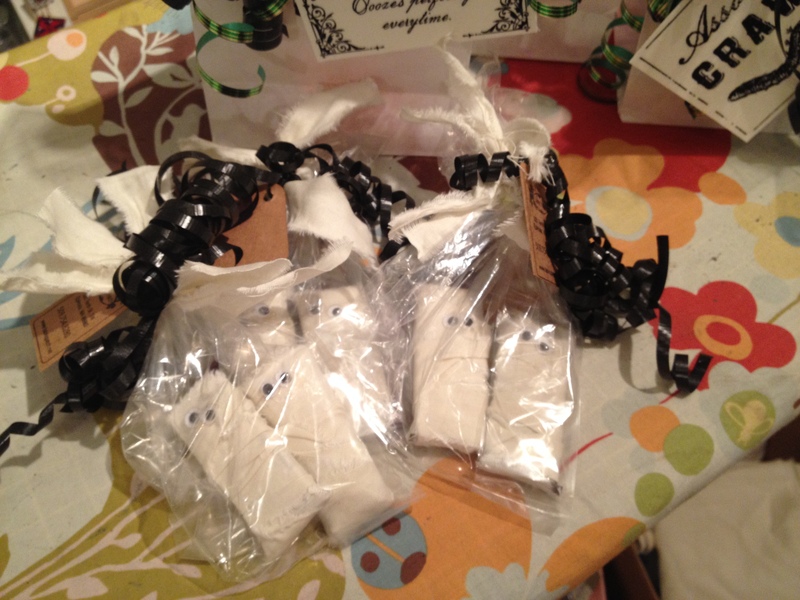 We also made bags of baby mummys. Whaaat?!?! 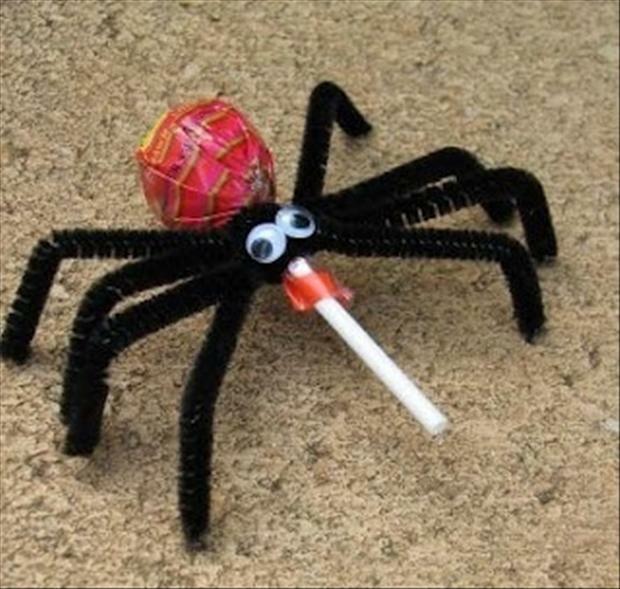 And some humongous black widow spiders (bagged with white jelly bean “eggs”). We have this great gothic Halloween panel with all of these sketchy labels. I just ironed fusible web to the wrong side, then fused them to card stock. 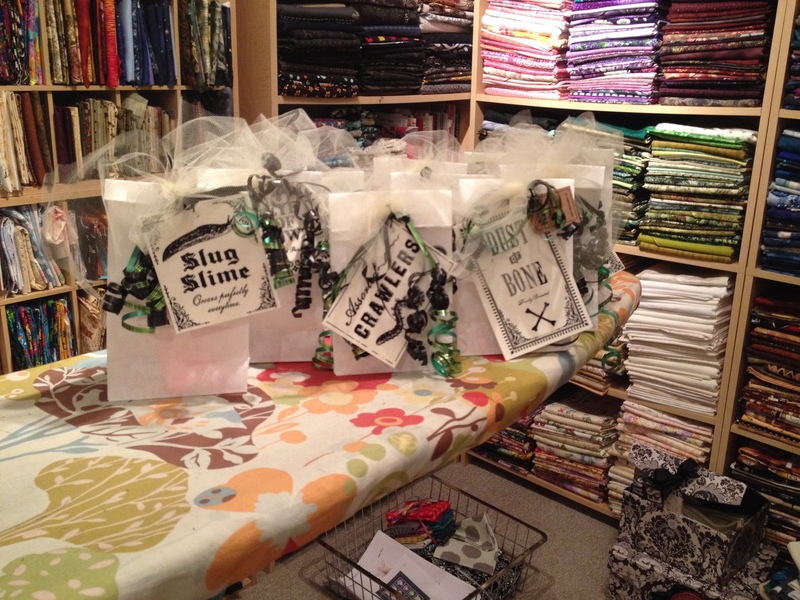 How cool to get a bag of “Frog Eggs” and “Dragon Teeth”. Yummy! We have a few more things to do, then we’re ready for Saturday…. Eeeeek! !